KUSI News did a segment on the need for fosters through Furry Fosters! Labrador & Friends along with our rescue appeared to advocate more foster support. 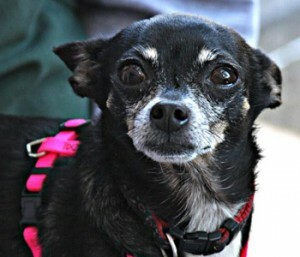 This is Juanita, starring on KUSI. She needs a new foster family! If you are interested, please fill out a foster application on www.RescueAChi.com. If you are interested in adopting her, you can always fill out an online adoption application as well!